Opened email tracking is a function that lets you know if the email you have sent to the recipient was opened, or not. It allows you to evaluate the influence of your subject line and first sentences of an email on your recipient. Tracking email open rate is one of the basic functions of Woodpecker. By default, we put an invisible pixel image in every email that Woodpecker sends from your mailbox. If the recipient opens an email, the image will load, and you will see it in Woodpecker's statistics. That's the only way to track email open rates in emails, and it is used by every email tracking tool on the market. Why we put an option to disable it? Some email clients like Google, block images from unknown senders by default. You as a recipient, are notified that the image inside of the message is blocked, and you may consider it as suspicious. Emails written by hand do not have tracking pixel in them, so your recipient may know that machine sent the email. We have put this option to ensure that our emails look like a person is a sender, not a machine. How to use the 'Open tracking' function? You can turn the option off in Campaign Editor → 'Open tracking disabled' on the right side of the editor. How can I know if the tracking is on or off? 1. If the email open rate tracking is turned on for at least one email in the sequence, you will see a % value. 2. 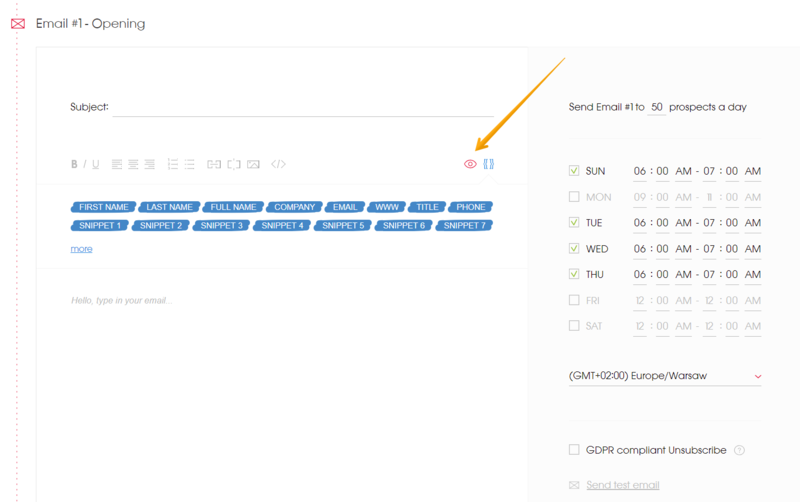 If the email open rate tracking is turned off for all emails in the sequence, you will see a dash instead of % value.